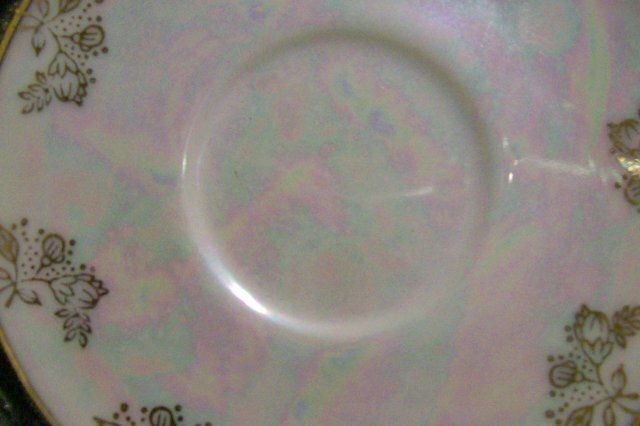 Iridescent luster cup & saucer, made in Japan, circa 1950's. Black & metallic gold accents. 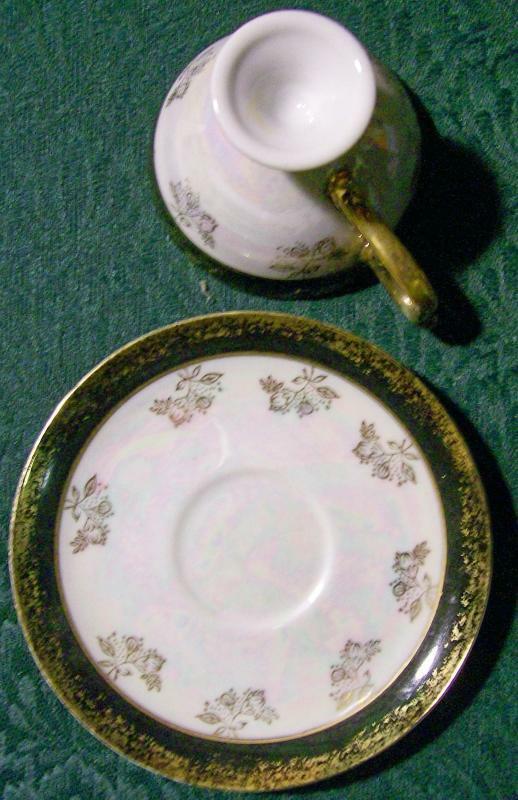 Measures 4 7/8"d saucer, 2 1/8"h x 3"d cup. Pedestal foot to cup. Very good condition with no chips or cracks. Inglenook Antiques...Established 1989. 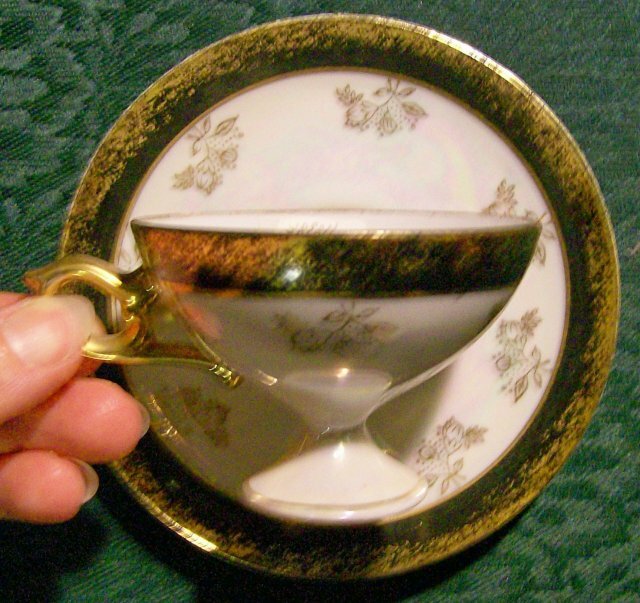 Items Similar To "Ceramic Pedestal Cup & Saucer Black/Gold/Luster Japan 1950s"